Brain Cells Slowed By Sleep Deprivation : Shots - Health News Scientists have found an underlying reason why it's dangerous to drive when you're sleepy. Brain recordings show cells involved in perception fire more slowly in somebody who has been up all night. "You can imagine driving a car and suddenly somebody jumps in front of the car at night," Fried says. 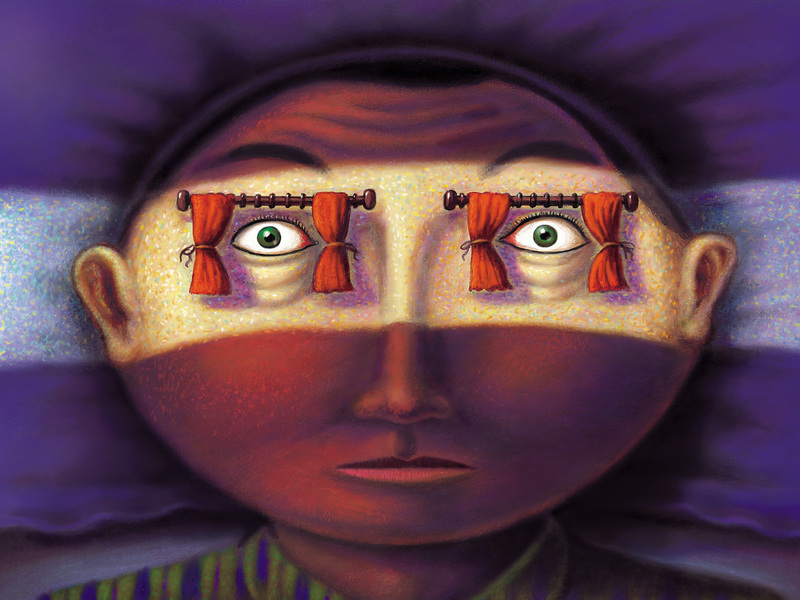 "If you are sleep-deprived, your cells are going to react in a different way than in your normal state." As part of the evaluation, doctors place wires in the brain to find out where a patient's seizures are starting. That allows Fried and a team of scientists to monitor hundreds of individual brain cells, often for days. "These are the very neurons [that] are responsible for the way you process the world in front of you," Fried says. And in these patients, "the neurons are responding slower," Fried says. "The responses are diminished, and they are smeared over longer periods of time." These changes impair the cells' ability to communicate, Fried says. And that leads to mental lapses that can affect not only perception but memory. The research adds to the evidence showing it's important to avoid driving when you're sleepy, Fried says. Fried says his team's finding also supports efforts to limit the hours worked by doctors in training, noting that he worked very long hours as a neurosurgery resident. Now, he says, "I am trying to impose the lesson I learned from my research on myself."